CDX Transport offer a professional, reliable and affordable light haulage and courier service for UK and all European destinations. We cover a large area from Norfolk, Suffolk, Cambridgeshire, Lincolnshire and Essex, down to Kent, Surrey, East and West Sussex. We are experienced exhibition and trade transporters, fully insured and experienced in carrying high value goods at short notice. CDX Transport provide a professional light haulage and courier service to local, UK and all European destinations. We are reliable, helpful and available at short notice. What type of transport work do we do? The core of our light haulage work in the South East is commercial and industrial. We are office relocation specialists and experienced exhibition and trade transporters. CDX Transport are experienced in carrying high value goods. We are fully insured. Contract light haulage work will be considered. At CDX Transport we provide ourselves on offering great customer service whether you are a small business, or a large multi national. What if I need someone tomorrow? 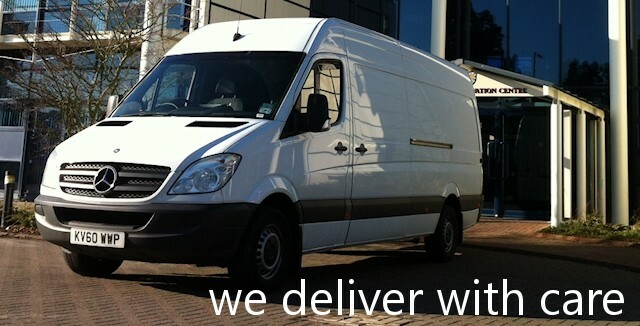 If you need to transport goods for your business at short notice, give us a call. We are available, day and night, 7 days a week. If you are looking for reliable light haulage transport or courier, please call 0784 906 3333 or email info@cdxtransport.co.uk for a no obligation quote.